The House of Representatives returned to work Jan. 5 after a three-week holiday break and immediately voted to dismantle parts of the 2009 healthcare law, a common theme from the last four years of Republican control of the chamber. However, as the Senate convenes Jan. 11 and the President delivers his State of the Union address the following day, Washington will resume some semblance of normalcy with plenty of work on the agenda for 2016. While election years are often seen as down time as far as major legislation being enacted into law, this year may prove to be different, at least in the transportation policy arena. Reauthorization of federal aviation programs is overdue. The current law expired Sept. 30, 2015, and the extension the Federal Aviation Administration (FAA) is operating under ends March 31. 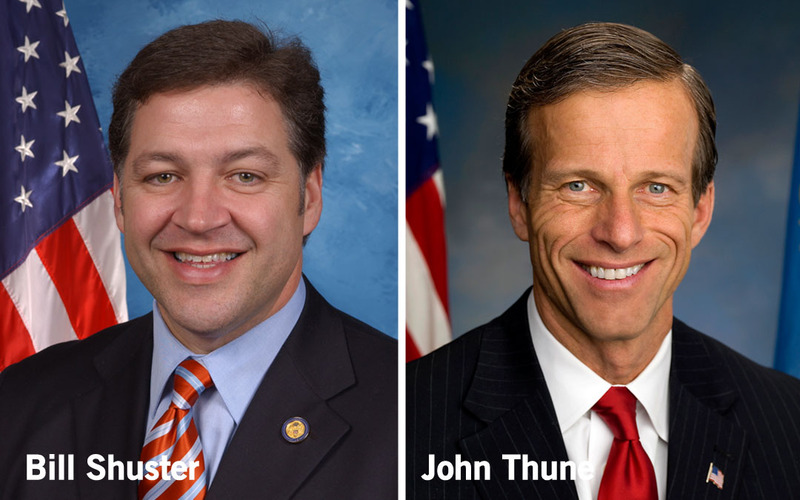 House Transportation and Infrastructure Committee Chairman Bill Shuster (R- Pa.) and Senate Commerce, Science and Transportation Committee Chairman John Thune (R-S.D.) have both signaled the FAA legislation will be their respective committee’s top priority as Congress begins work this year. As it relates to the transportation construction industry, ensuring capital funding for airport runways and taxiways, as well as feeder roads and other projects, will require heavy engagement with Congress from ARTBA members and staff. While expecting enactment of a full bill by March 31 is optimistic, a new aviation law this year is within reach. Historically, Congress also has completed water resources legislation every two years and there is talk on both sides of the capitol of returning to that practice this year. The Water Resources Reform and Development Act (WRRDA) passed in 2014 authorized numerous inland waterway, lock and dam, levee, and port capital projects. While the WRRDA law technically does not expire, there is a backlog of water projects waiting to be authorized and therefore a new law would be a good and much-needed use of floor time in Congress. The WRRDA authorized projects are all subject to the annual appropriations process, so no guarantees on funding levels can be made for these programs, as well as nearly all other transportation programs. For example, last month the transit capital program for FY 2016 took a $125 million cut from what the Fixing America’s Surface Transportation (FAST) Act surface transportation law authorized just days earlier. Therefore, as is the case every year, ARTBA members and staff will be working hard to ensure full funding for all transportation programs in the FY 2017 appropriations law that will be worked on throughout 2016. While many members of Congress will be home campaigning during 2016, there is still plenty of work to be done while they are here in Washington. As always, ARTBA staff will be working diligently to ensure these, and many other issue, are addressed this year.